This post is dedicated to my beloved Aunt Angela! A while back, I raved about my obsession with the Lancer cleanse and exfoliate method in this post. After reading, my aunt inquired if I knew of something similarly great that she could easily pick up at the grocery or drug store. While Lancer’s line is phenomenal (and I still stand by that), it isn’t as easy to get your hands on and does consist of a series of products – not just one. Having great experiences with the Neutrogena skincare products, I did a quick Google search and found their Hydro Boost Exfoliating Cleanser and recommended she give it a try. The price was great, the brand has a strong reputation and it combined the steps of cleansing and exfoliating into one product. Cut to my Aunt falling in love with this product and gifting it to me on Christmas, encouraging me to give it a try as well! And so, of course I did and immediately fell in love with it myself. Of course, that means I have to share my thoughts on the product with my fellow, dreamers! The exfoliating cleanser is part of Neutrogena’s larger ‘Hydro Boost’ line, that also includes a gel cream, water cream, eye cream, a face mask and more! While I haven’t branched out to try the other products, a quick glance over reviews tell me they’re well-received and I’m pretty eager to give them a try. As for the Neutrogena Hydro Boost Exfoliating Cleanser itself, I was immediately blown away (and surprised) by how moisturizing the cleanser is. Usually, I think of cleanser as a product that strips away moisture – requiring you to follow up with a day or night cream to rebalance your skin. Neutrogena, though, has managed to create a product that cleanses your skin while infusing moisture. 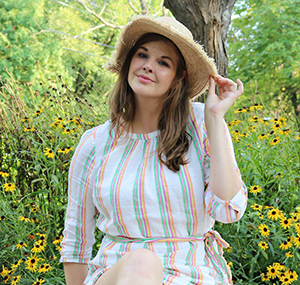 When I first put this product to the test I was in Naples, Florida with a much warmer and humid climate. There, I found that I could even get away with skipping moisturizer afterward, truly. Now that I’m back in the Midwest with winter temperatures, I do follow up with my beloved Clinique Moisture Surge and am good to go! 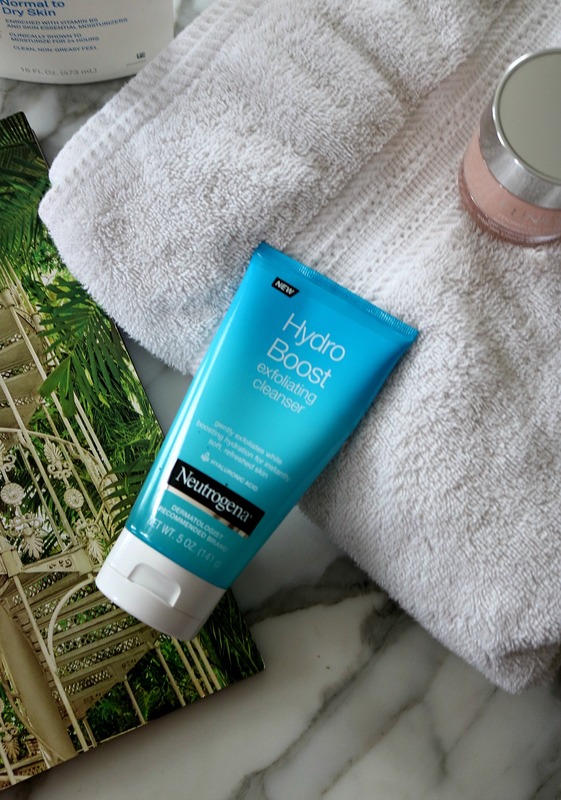 What I like about the Neutrogena Hydro Boost Exfoliating Cleanser is that it makes for quick exfoliation as you can literally do so while you’re washing your face. So, if you’re in a time crunch this is a really great way to gently exfoliate your skin to prep for makeup or unwind at the end of a long day…while cleaning things up and adding in some moisture. It’s a win, win all around. The gel cleanser is finely threaded with microbeads that when washed across your face, will gently exfoliate your skin. It’s generally a very soothing, gentle exfoliation that won’t leave you with any unwanted redness or flare ups. Dupe Alert: If you’re a fan of the Philosophy Microdelivery Exfoliating Wash (here), I think you’ll be happy with the Neutrogena cleanser as a more affordable alternative. The consistency (and even scent) are VERY similar! 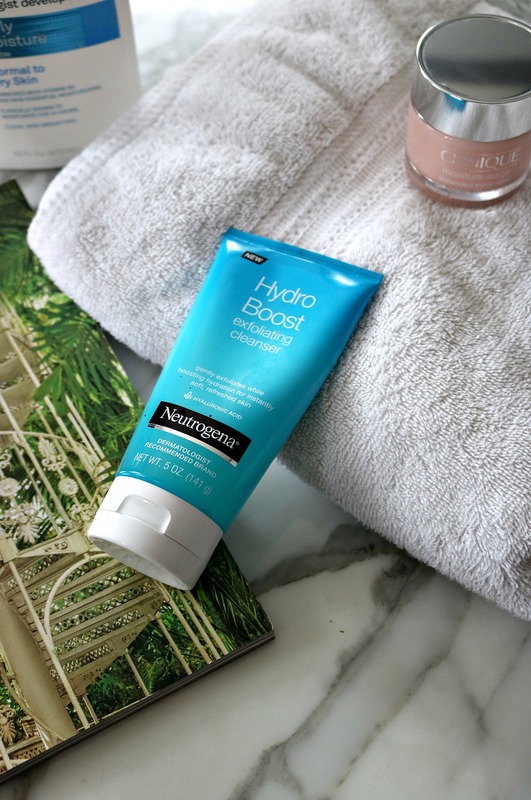 Last but not least, I think it makes sense to talk about just how CLEANSING the Neutrogena Hydro Boost Exfoliating Cleanser is. On most days, I wear a good amount of makeup to work. I’m talking foundation, concealer, bronzer, powder, eyeshadow, mascara, liquid liner, brows…the whole works. To start my day, I like to set myself up with some YouTube clips (Wendy Williams’ Hot Topics, mostly) and have fun layering products upon my face. Ironically, after all the time and joy I put into applying makeup in the morning – I’m SUPER lazy when it comes to taking it off at the end of the day. 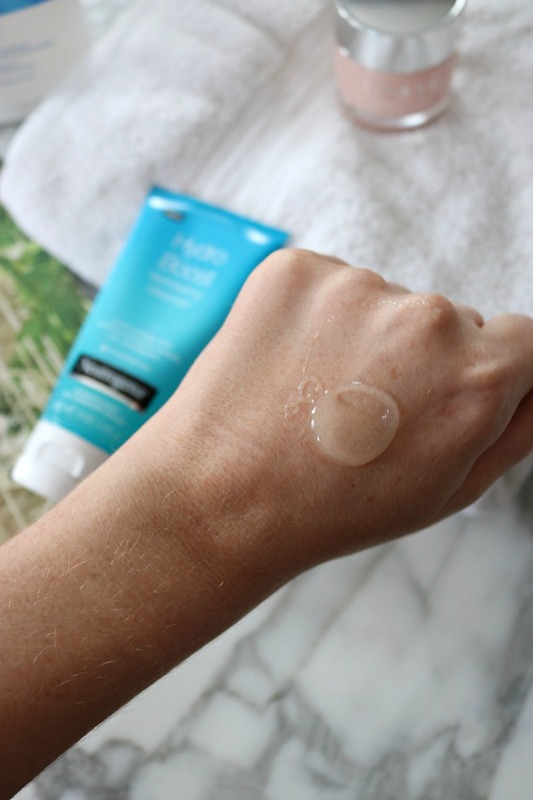 Rarely wanting to bother with makeup remover, I gravitate towards cleansers with super powers. Meaning? Cleansers that can completely cut through and wash away layers of makeup and bleeding black mascara and eyeliner in one sweep. Well, I’m very happy to report that this cleanser makes the cut! The texture of the Neutrogena cleanser and exfoliating properties work like a dream together to cut through layers upon layers of makeup. My skin is left in a fresh, clean slate…ready for toning and moisturizing. As you can tell, I’m impressed. My gut instinct to recommend this products to my aunt clearly paid off and I’m now just as much a fan as she is. At $8.99, the price is virtually unbeatable when you think about just how much this one little cleanser can accomplish on its own. It serves as a makeup remover, exfoliater and cleanser in one – while adding in moisture to boot? I’m sold and highly recommend you give this a try.